Thanks Steve. Truth wills out -- just a matter of getting the horse(s) to drink. A.N. Field wrote: Can anyone help with statistical info regarding what was produced at each camp - munitions, parts, etc.? I do hope that data is here or available. Many thanks. Would like to know this as well. My knowledge on this is just fractured meaning I know here and there what was produced in a camp. I.e. the Buna works at Auschwitz, rabbits / clothing and shoes at Majdanek. But that doesn't have to be complete, since each camp may have produced a whole portfolio of products. Camps did produce for their own needs and for external ones. Hello. I am German and I would be quite interested in reading the original German messages decyphered at Bletchley Park. Have you by any chance uploaded those original German messages or would I have to travel to London and go into the archives myself? Also: Is it known by now whether the BP data apply to the entire Auschwitz Camp, i.e. Auschwitz, Birkenau and Monowitz, or only to the main camp, the so-called "Stammlager"? I'm about to write a biography on Dr. Eduard Wirths, the head physician in charge of all Auschwitz camps. A couple of months before he committed suicide, he wrote a report giving details about the typhoid epidemic in Auschwitz. He was sent to Auschwitz on September 6, 1942, in order to fight the epidemic. His report is consistent with the BP data. According to his report, there were indeed hundreds of deaths per day due to typhoid when he arrived in Auschwitz. 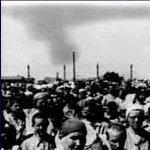 "He was sent to Auschwitz on September 6, 1942, in order to fight the epidemic. His report is consistent with the BP data. According to his report, there were indeed hundreds of deaths per day due to typhoid when he arrived in Auschwitz"
I don't think it was a Typhoid fever epidemic; I'm pretty sure it was a Typhus epidemic. "Typhoid fever, caused by the bacterium Salmonella typhii (not to be confused with Salmonella enterica, the cause of Salmonella food poisoning), is a completely different disease from typhus"
When you do your biography on Dr. Eduard Wirths, be sure to get that straightened out, Dr. Dahl. "Dr. Wirths was promoted to SS-Hauptsturmführer (captain) and appointed as chief camp physician at Auschwitz in September, 1942. He was appointed on the basis of his reputation as a competent doctor and committed Nazi who would be capable of stopping the typhus epidemics that had increasingly affected SS personnel at Auschwitz"
Since publication of a truthful account of Dr. Wirths would lead to your arrest in Germany and much of Europe, I then assume you take the 'exterminationist' position and encourage you to debate us here. Dr. Edgar Dahl wrote: Hello. I am German and I would be quite interested in reading the original German messages decyphered at Bletchley Park. Have you by any chance uploaded those original German messages or would I have to travel to London and go into the archives myself? The BP HORHUG decodes, as presented on the monthly tables, comprise the roll call populations of Auschwitz I from January 1942 to August 1942. From September 1942, the decodes comprise two monthly tables, with the new second table denoted VPA, for two months only. The second tables for subsequent months do not carry the VPA heading anymore. These VPA tables are the population figures for the new women's camp at Birkenau. It therefore appears that the women population totals were not included in these transmitted / decoded totals up to August 1942, as can be seen by the sudden appearance of circa 16k women on the first VPA table in September 1942. This 16k starting count, clearly does not reduce the remaining population on the first table for subsequent months. From this therefore, it can be assumed that the first monthly tables from Jan 1942 to August 1942 ( and thereafter )comprise only male inmates in Auschwitz I. The BP analysts, deduced the same, as can be seen by reading the monthly summary reports. The Auschwitz State Museum's, Franciszek Piper book, Auschwitz Prisoner Labour, has a table of prisoner population, from various sources and for various dates. This Table 3, p. 65, shows no population data for Auschwitz III (up to 45 sub-camps) until January 1944. The scarce opportunities that do exist for reconciliation between the BP HORHUG data and other data sources such as this table for example, allow the deduction that the BP HORHUG decodes do not contain any Auschwitz III inmate counts. The National Archives at Kew contain volumes of original German language GPCC message decrypts. As ever, the various, fragmentary sources for the "numbers game" at Auschwitz produces an unholy mess, rendering reconciliation extremely difficult. Almost as if it has been designed that way. Thanks so such much for your help! If I understand correctly, I would have to travel to London in order to read the original German messages, right? "Vor Antritt meines Dienstes dort wurde mir vom Leiter der KZ-Lager, Gruppenführer Glücks, und dem leitenden Arzt, Dr. Lolling, erklärt, daß meine ausschließliche Aufgabe in Auschwitz die Bekämpfung einer schwersten Fleckfieber- und Typhusepidemie bei der Truppe sei." In German, there is a clear difference between "Fleckfieber" and "Typhus". According to Wirths, there were cases of both - of "Fleckfieber" as well as of "Typhus"! You can order copies from the PRO / TNA online if you know what you are looking for. Alternatively, you can hire a researcher. I repeat: As far as I am aware the original decodes for all of the camp populations, as tabulated on the monthly tables are not extant. You could also bang your head against the GCHQ brick wall, as they were exempt from the requirement to hand over the originals. I don't know if they retained any originals. No, I am not an "exterminationist". I would call myself a "Holocaust Skeptic". Ever since reading about the Bletchley Park Decrypts in Nicholas Kollerstrom's "Breaking the Spell", I have serious doubts about the infamous "Gaskammern von Auschwitz". True, an objective account - even a sympathetic account! - of Dr. Eduard Wirths might get me into trouble. I doubt, however, that I would be jailed for it. All I can imagine is that my book may be censored. But then again, I have dealt with so many controversial issues in my professional life that I really do not care anymore. You'd have to visit yourself Dr. Dahl; due to copyright restrictions, only the British National archives would have the authority to published the decrypts (although licences for publishing individual items can be obtained for a fee), and as of yet I've heard of no plans to digitalise them and make they available to download from its website. The series HW 16 contains the intercepted Police messages (although there are other series which I've never even looked at), and I can tell you that it would take you a several days at the very least least to read through all of these. File HW 16/43 (to mention the biggest example) has approx 1350 pages, with an average of eight decrypted messages on each one. Although I do know what I am looking for - namely every single page that mentions Dr. Eduard Wirths! - I'm afraid this won't do to order any material from the National Archives, will it? First, shouldn't it read "thirteen" instead of "twelve" months? Second, and more importantly, how do we know that the code could not be cracked anymore? I've read all the material made available on http://www.whatreallyhappened.info, but I couldn't find any mentioning of Bletchley Park being unable to decrypt any messages from Auschwitz as of February 1943. According to Terry's "Conflicting Signals", the only code that could never been cracked by Bletchley Park was the code used by the Gestapo. Thank you very much for this! This is very helpful. Looks as if a lot of work is coming my way. In any case, we know the difficulty you must face back home. Your courage and devotion to the truth are admirable! Yes, it should read "thirteen", secondly; I think Kollerstrom is wrong to have said: "the codes could not be cracked anymore". 107. Summary covering material received January 25- February 26, 1943, ZIP/OS 7, February 27, 1943, PRO HW 16/65. No returns of inmates and no February messages have been received. Details concerning concentration camps appeared occasionally in decrypts of police signals, but the fullest information came from returns which were intercepted during 1942 and 1943, until Feb 1943 when the Germans ceased to send them by wireless. Dr. Edgar Dahl wrote: According to Terry's "Conflicting Signals", the only code that could never been cracked by Bletchley Park was the code used by the Gestapo. For their most secret communications, however, these organisations [SiPo, Kripo and Gestapo] used from an early stage in the war an Enigma key (called TGD after its Berlin call-sign) which was never broken and was regarded by GC and CS [Government Code and Cypher School] as the key of the Gestapo. F H Hinsley et al., British Intelligence in the Second World War Volume II, p.668.